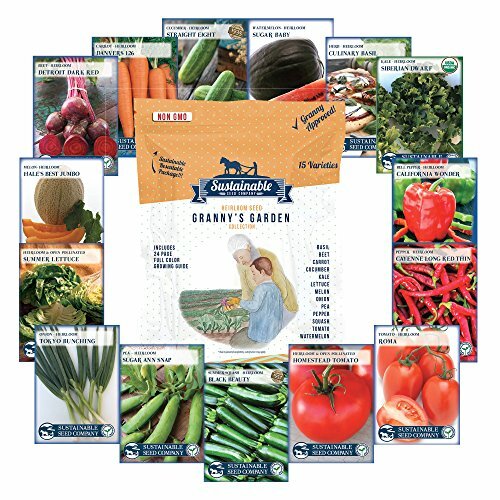 Heirloom Vegetable Garden Seed Collection – Assortment of 15 Non-GMO, Easy Grow, Gardening Seeds "Granny's Garden Collection"
Heirloom Seed Collection just like Granny would have grown in her garden! Many of us are growing more of our own food these days to save money and provide healthy organic vegetables for our table. What's better than a delicious healthy garden right out of your backdoor? Plant your own kitchen vegetable garden!! It's easy and all in one package! 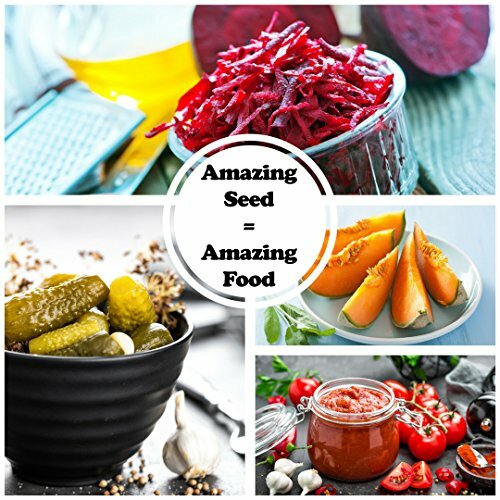 You get fresh 2017 seed with germination rates that exceed Federal minimums, from Sustainable Seed Company, a trusted USDA Certified Organic seed company owned and operated here in the USA. 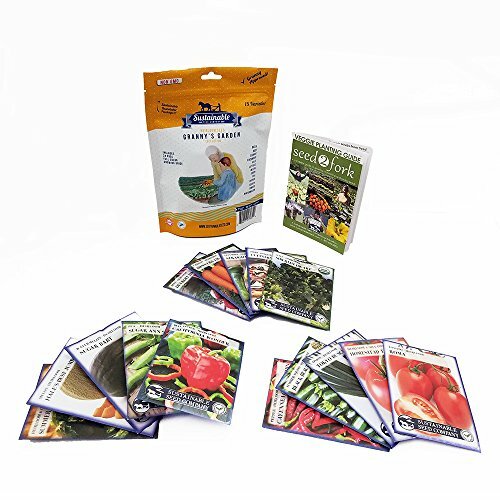 Each REAL, eco-friendly, compostable seed packet is made from recycled paper and includes detailed planting instructions all sealed in a waterproof, resealable Mylar package. Still not sure about starting your vegetable garden? Our professional staff of Master Gardeners is here to answer any questions you might have and lend you their expert advice. 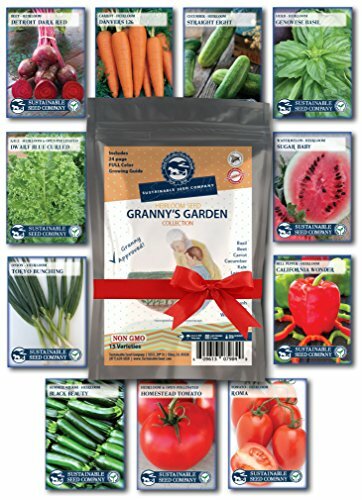 This package is priced at 25% off regular price, so you're not only getting a great vegetable garden that the chef in your family will love, you're also saving money - which EVERYONE loves! 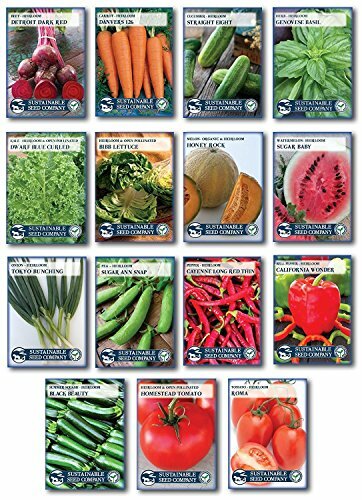 15 varieties of the most popular vegetables, including Beets, Carrots, Cucumber, Kale, Lettuce, Melons, Onions, Peas, Peppers, Squash, Tomatoes, and Basil. Fresh, just harvested 2017 seed stock with germination rates that exceed Federal minimums. 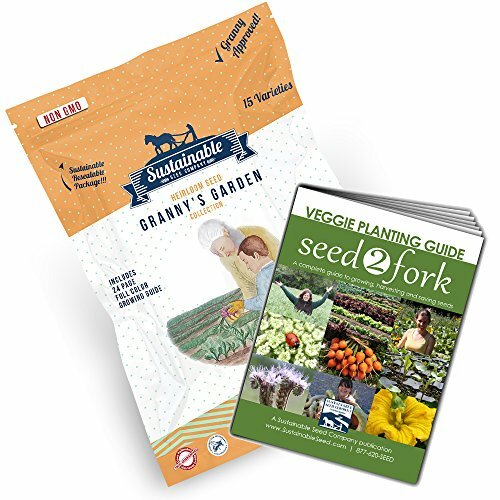 From Sustainable Seed, a trusted USDA Certified Organic seed company owned and operated right here in the USA Each eco-friendly, compostable seed packet includes detailed planting instructions, all sealed in a waterproof, resealable Mylar package PLUS, our professional staff of Master Gardeners is here to answer any questions you might have and lend you their expert advice Plant your own kitchen vegetable garden! It's easy and all in one package! PLUS, a 20 page seed sow/growing, harvesting and seed saving guide include. A $2.99 value free!